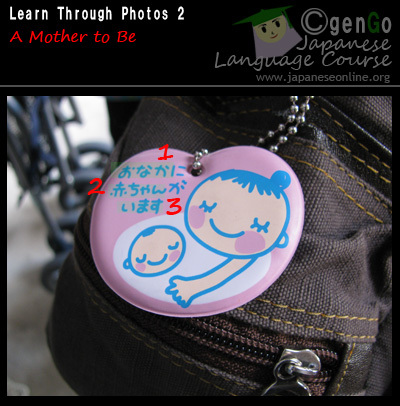 Expecting mother in Japan, should use this sign, receive from the pediatricians or city ward office, health department. Read the sentence, memorize the kanji. MEANING : There is a baby/babies in the stomach/belly (the user is being pregnant). ３．います : imasu = (v) = be –> plain form: いる　（いる）=　iru. １．子供　が　いる/います : kodomo ga iru/imasu = I have a child. 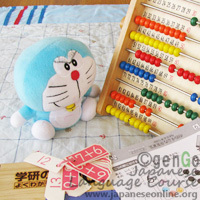 Plural form of 子供 (kodomo = child) : 子供たち (kodomotachi = children). 先生　：　sensei = teacher. - Kanji of grade 1 elementary school. a. 赤字　: akaji = deficit, in the red. Ha… mou yattarannai! Otegami nante muri!! Waaa, this can’t be done! Writing a letter? Impossible! What to write, I’m stuck! Uwaa…. Dare ni? –nin-gen no katatachi desu na. When I was young, I went to a city and I was lost, I met humans who was so kind to me, so since then, I really like the humans. Though maybe this is only one side feeling (only me like them, not sure they like me too or not). You, yes you, did smile to them, didn’t you? You, yes you, did smile, didn’t you? Meaning : Someone has done something, someone has had an experience doing something; There was a time when.. There was a time when I/speaker/writer/someonw was a dancer. In general, Sinf / past koto ga aru express the idea that there was a time when someone or something was in some state or did something. 3. There is also koto ga aru in present form. In this format, koto ga aru means : an idea that something happens from time to time. Example : 山田君は朝ご飯を食べずに学校へいくことがある。: There are times when Yamada goes to school without eating breakfast. このレストランの料理はたまにまずいことがある : kono resutoran no ryouri wa tamani mazui koto ga aru = Occasionally, this restaurant’s cooking is not delicious. Try to memorize hiragana part 10 : わ　を　ん　(wa, wo, n). This is the last part of hiragana. However, there are still some other lessons : combination hiragana and particular added symbols. Being disappointed, crying, what happened? Wow wow, things that you want to do, who did it, is the winner. If you are the youth. Tap your chest, let’s do the adventure! The brightness that we have, don’t forget it, forever, ok! In daily conversation, people often use this phrase : doumo. 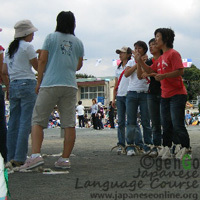 In the beginner level, one of the first parts to be taught are the greeting expressions : good morning, good day, how are you, see you next time, and thank you or sorry. The complete formal form when someone needs to express an apology in Japanese is : doumo arigatou gozaimashita (どうもありがとうございました). This phrase contains doumo. A. To indicates the speaker/writer cannot make a definite statement about something, because s/he cannot identify / pinpoint the reason. kono bun no imi ga doumo yokuwakaranai . (I don’t know why, but I cannot understand this sentence very well). Yamada-san wa doumo hokkaido daigaku ni hairitai rashii . ( I gather that Mr. Yamada wants to enter Hokkaido University ). –> the speaker has no solid evidence about Yamada’s entrance to Hokkaido University. B. The final predicate ia overtly negative. 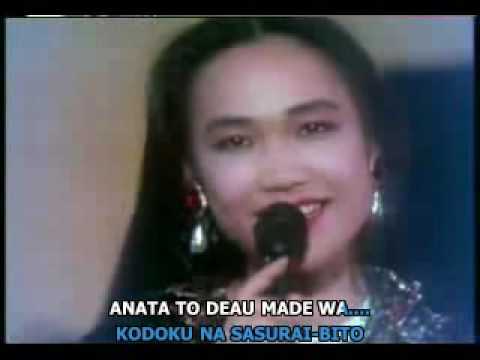 Kono goro doumo karada no choushi ga yokunain desu. (I don’t know why, but lately I don’t feel good). Ucinokowa terebi bakari wo mite, doumo hon wo yomanai . C. Doumo is use with arigatou (gozaimasu) to mean ‘Thank you very much’, or with sumimasen to mean ‘I’m very sorry’. Doumo alone can mean a very casual ‘Thank you’ or ‘sorry’ without the following arigatou (gozaimasu) or sumimasen. Senjitsu wa doumo arigatougozaimashita . (Thank you very much for what you did for me the other day). 1. When you and someone in front of you are about to enter a supermarket and the person in front of you opens the door and holds it until you also get in, you can say to him/her “Doumo…” and bow as an expression of thanks. 2. When you bump into your neighbor or friend, you would usually greet him/her, say some words, and leave. Before leaving him/her you can say “Doumo…”, which means “would you excuse me?”. But do not say this word for bidding a farewell after a formal meeting, or after meeting your teacher or your son/daughter’s teacher. 3.When you are entering an elevator and passengers already inside are squeezing to give you a space, you can say “Doumo …” as an expression of thanks. 4.When you drop something while riding a bicycle or walking and someone awakes you to it, you can say “Doumo…” to him/her. 5.When you pass a very narrow road and someone from your opposite direction chooses to wait and lets you move first, then you can say “Doumo…” to him/her, which means “thanks”. –>“Doumo” is a practical term and a useful word in many situations. While “doumo” does not have a particular meaning, the person you utter the word to will easily understand what you mean by it. It is easy to find this kind of warnings in Japan. 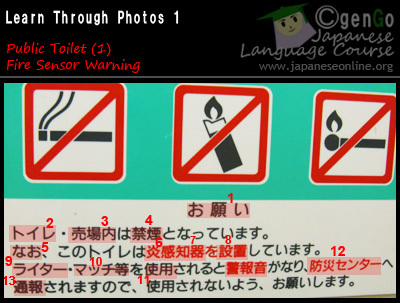 Improve your Japanese by reading, memorizing and understanding the kanji, vocabulary, and sentence patterns in the warning. toire.uribanai wa kin en to natte imasu. nao, kono toire wa en kanchiki wo secchi shite imasu. tsuuhou saremasu node, shiyou sarenai you, onegaishimasu. No smoking permitted in all areas in the shops. Fire sensors are activated and connected to disaster prevention center. Please refrain from using lighter or match, as they will ring the alarm. 1. お願い: onegai = a request. 2. トイレ　： toire = toilet. 4. 禁煙 : kin-en = no-smoking-area. For me, it burns my braveness to live.